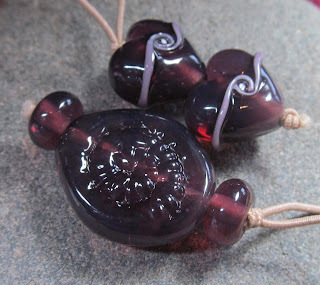 Bead Soup Blog Party, Bead Hoarders Edition! Selling on Facebook. Yes, no, maybe? Okay, I'll give it a try. Blue Fairy conquers New Forest Show! Year in Review Class This Thursday! This new colour from CiM is an absolute stunner. Wisteria ltd run is designed to be a misty opal version of Crocus - misty opal means just a hint of opacity. 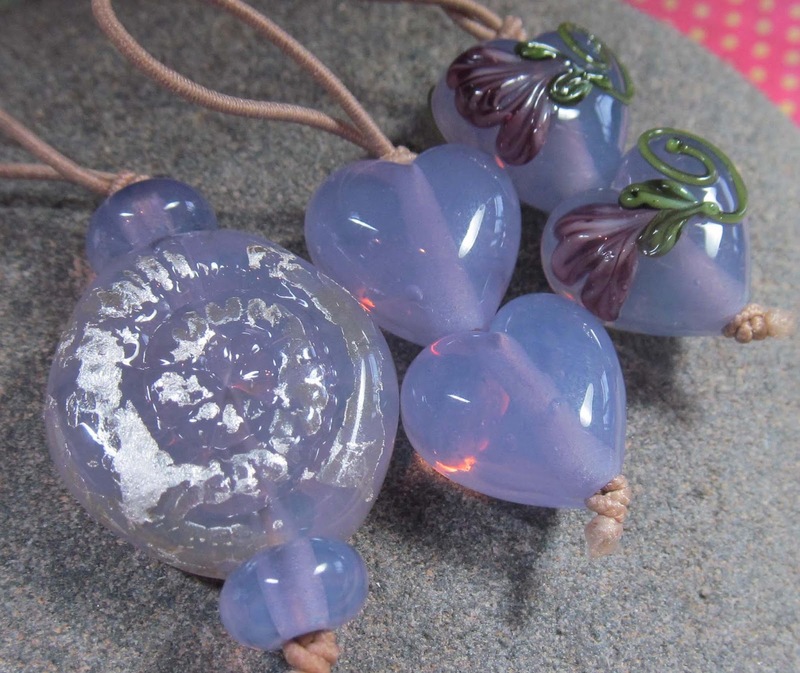 This glass utterly delights me, the result is this precious looking glowing lavender purple. Wisteria seems to have a very slight colour change/reaction with fine silver foil. These floral hearts have been decorated with encased stringers - Effetre white encased with Gypsy ltd run and Elphaba encased with Eden ltd run. For comparison I have made a set of similar beads with the original CiM Crocus formula, a very beautiful opal glass which is almost completely opaque. This too reacts slightly with fine silver leaf to give small areas of colour change. When I opened the drawer to find Crocus I rediscovered lots of other pretty purple opal/moonstone colours and it was an irresistible temptation to take out a few more to melt and include in this show and tell blog post. This lovely pale blush pinky toned pastel purple is called Bubblebath ltd run. It's name is very evocative and this glass is so pretty it's own right that it doesn't seem to need much or any other decoration. Plum is a staple in the Messy Color palette but surprisingly I have not created beads with it often over the years. 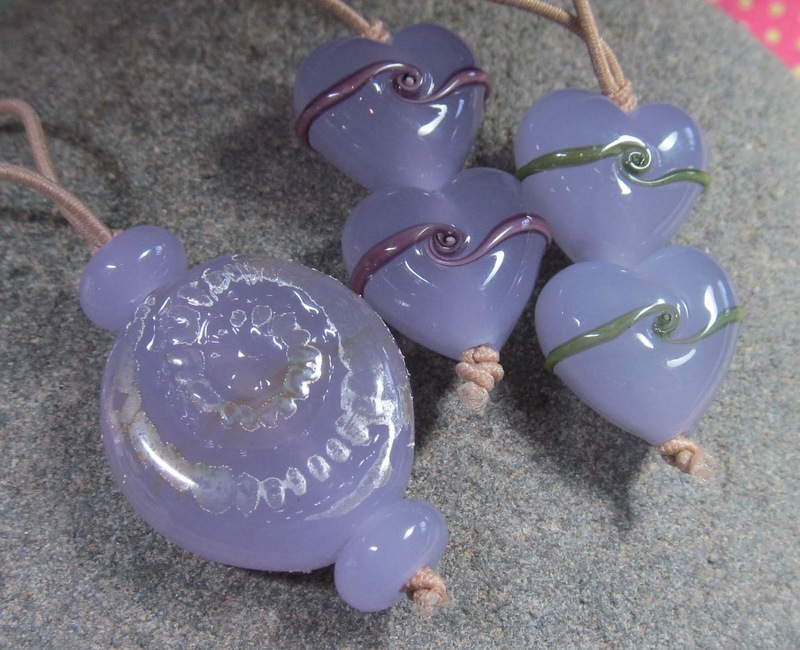 It is much paler in rod form than as finished beads, a pretty mid purple that can be struck to a couple of different shades as you can see clearly in these heart beads. 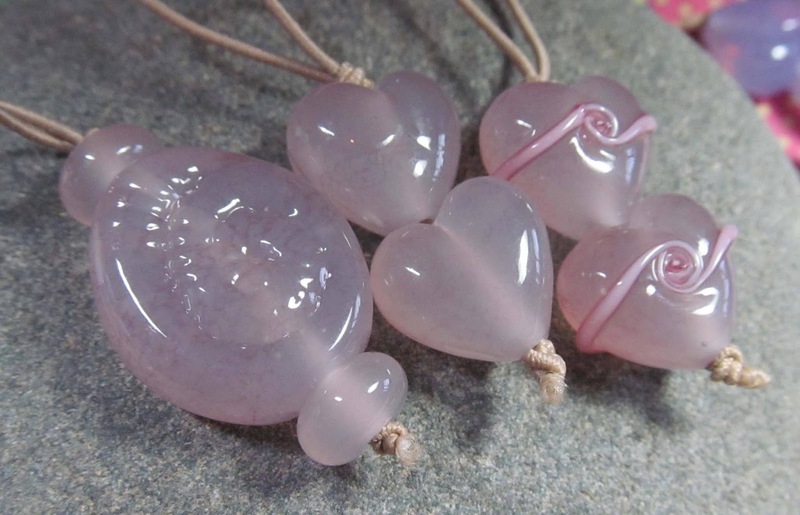 The subtle colour variation makes me think of Lavender Jade. The last pretty opal purple I want to show today is called Byzantium ltd run. 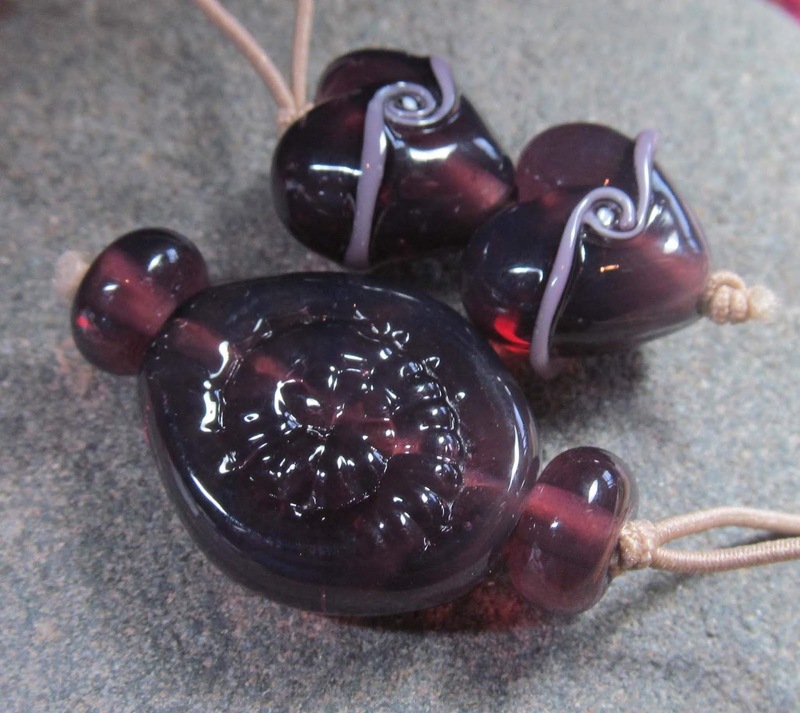 It is a rich dark purple semi transparent opal glass. 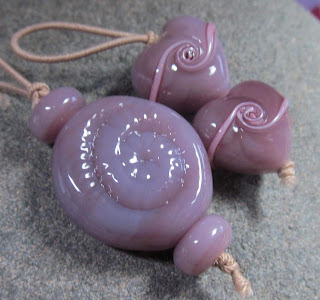 CiM describe this colour as a purple moonstone and I can totally see why, it's lush.